Bell is a 15-16 year old Appaloosa/Quarterhorse cross. 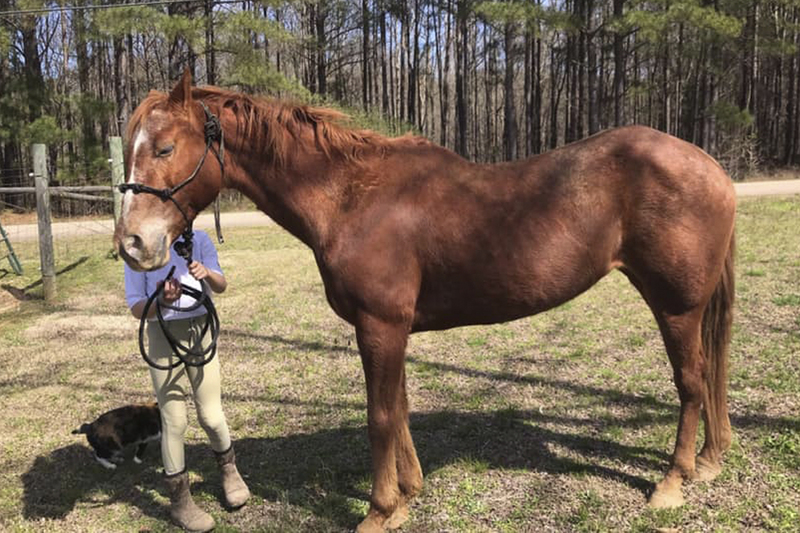 She is about 14.3h and is a great trail horse and a step up horse for an intermediate rider. Bell has been with us for a couple of months. She was with her last owner for about 10 yrs and not ridden consistently and picked up a few bad habits so we have been working out the kinks. She has been started on The Method. 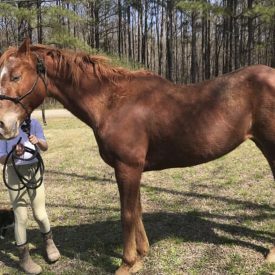 She will trail ride and arena ride just fine but does need a consistent confident rider as she will try to see what she can get away with. She is a great little horse that just needs to be finished.